Episode 18: Interview with Markus Schulz! Over the last 10 years, Markus Schulz has fused the individual musical identities of progressive, house & trance into his own creative, now inimitable hybrid sound. 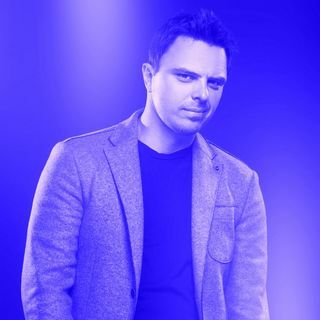 Through a unique alignment of headlining DJ sets, Armada and Coldharbour label output and his highly prominent Global DJ Broadcast radio show, he’s spearheaded a sea change revolution in the US trance scene. This success has been reflected in weekly sets played in front of many tens of ... See More thousands, a GDJB listenership up in the millions & one Beatport chart-topper after another. Following several highly ranked positions, in 2008 Schulz broke into the Top 10 of DJ Mag’s Top 100 chart. He’s remained there for the last four straight years (polling #9 in 2011) and now stands as the busiest international DJ playing out of the United States. In this episode learn the meaning behind his nick-name “Unicorn Slayer” and why he thinks Croatia is the spot to party!